Healthy Halloween Treats and Snacks, oh yes! 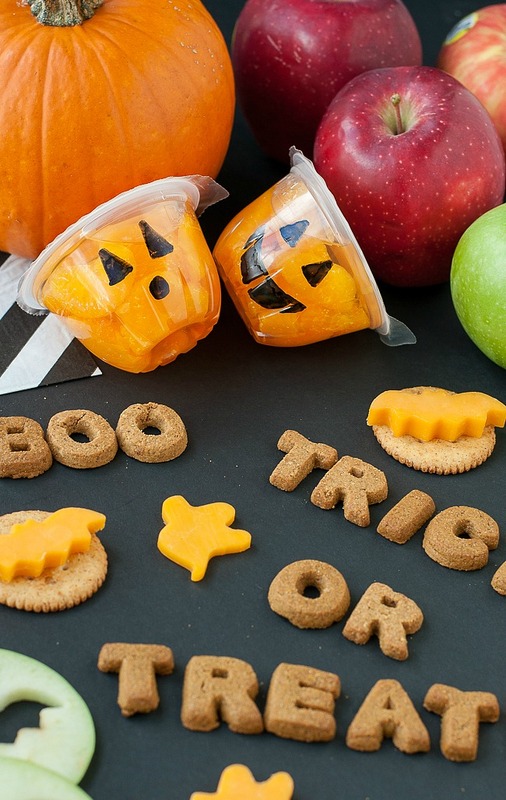 Here are some fun ideas to spookify your Halloween menu without going into a sugar coma. Replace boring sugar cookies with these crispy apple “cookies” for a fantastic snack that’s oh so healthy! Dip the slices in peanut butter or your favorite flavor of greek yogurt! 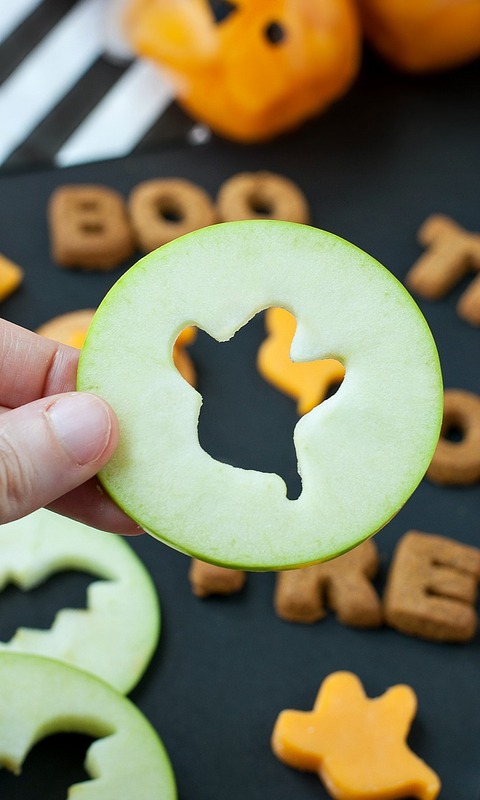 You can even place a slice of cheese between two spooky slices for a fun snack sandwich! 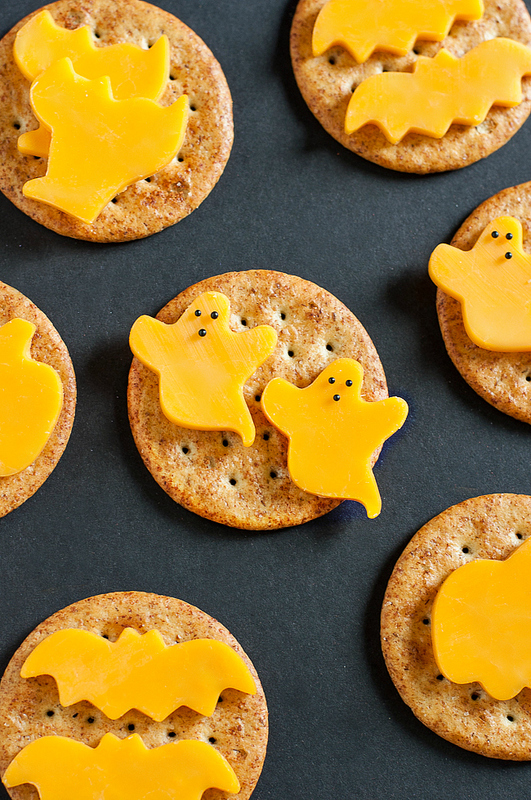 Mini cookie cutters (snag some here) lend a hand in making this easy cheesy snack a total blast to create! Make them with friends or your kiddos for a fun party snack! Jazz up mandarin orange [or peach!] fruit cups with spooky jack-o-lantern faces. These fruity little pumpkins make a great lunchbox surprise and a tasty snack! Thanks for stopping in to say hello!!!! 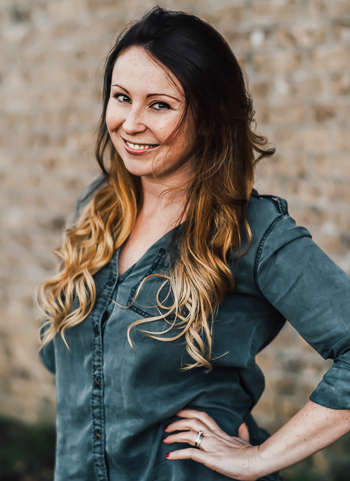 =) I love meeting new readers! I love the mummy pizzas!!! Those are so creative! I love the strawberries! That is so cute.